Of the 140,000 facing deportation from the UK, the whereabouts of at least 60,000 are unknown to authorities, among them foreign offenders. Tony Smith, former director general of the UK border force, has told Sputnik that once people are in the country, it can be very difficult indeed to remove them. 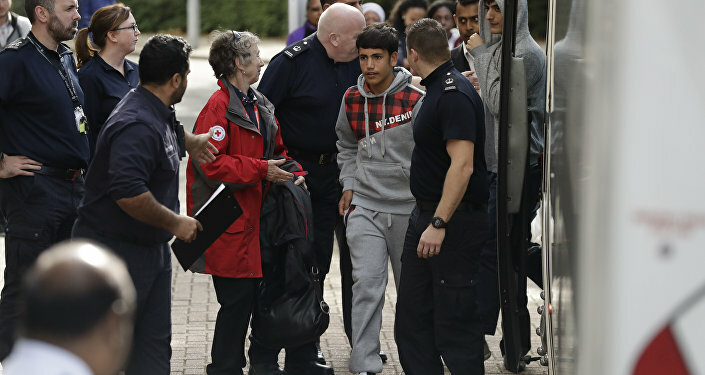 Tens of thousands living illegally in the UK have dropped off the Home Office's radar and been declared "absconders," a new report, published by David Bolt, the Chief Inspector of Borders and Immigration, has revealed. The study found 140,000 are facing removal from the UK, and of those, 80,000 report regularly to a Home Office center or police station (or are at obliged to), so authorities can keep track of their whereabouts. By definition, this means the whereabouts of 60,000 are unknown by authorities. In December 2016, nine percent (7,000 people) of those officially on the Home Office's "radar" failed to turn up. The report was passed to Home Secretary Amber Rudd in May, but has only now been published, and gives the first clear indication of how many are living the UK illegally, as well as the number of people evading the authorities. Bolt criticized Home Office procedures and highlighted "poor internal communication and coordination" as the cause of officials losing track of people, including known offenders. He said there was "little evidence" effective action was being taken to locate "the vast bulk of absconders." Commenting, Tony Smith, global border security consultant and former director general of the UK Border Force, said the report was "disappointing reading" for the government. "Nonetheless, if we look at immigration in the round, the UK does reasonably well. We have our own border system, we're not part of the Schengen group, we have a pretty good non-entry system. "The issue is once people are in here, it's quite difficult to remove them, because there are a number of barriers. Around 40,000 illegal immigrants leave annually, but only 10,000 are via enforcement, the rest are people who go voluntarily," Mr. Smith told Sputnik. The finding comes despite the Home Office's controversial "hostile environment" policy — measures designed to make life in the UK difficult for "illegal" immigrants — introduced by then-Home Secretary Theresa May in 2012. The provisions were codified in the Immigration Act 2014, with additional steps taken under the Immigration Act 2016. It received a further update in September 2017, when it was announced UK banks and building societies would be compelled to check around 70 million customer accounts from January 2018, to identify account owners who overstayed visas or whose asylum application was rejected. 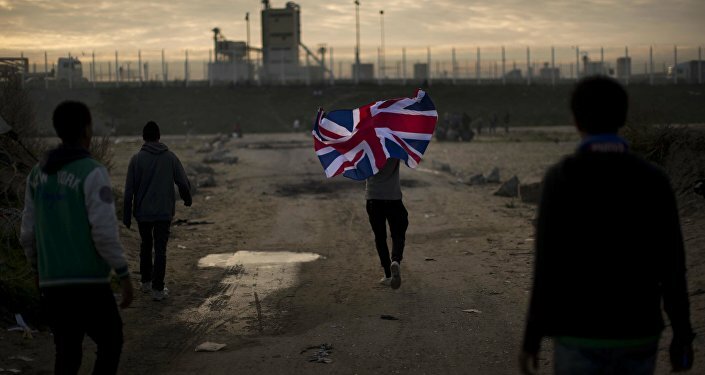 Despite the measures, Bolt suggested the "hostile environment" policy has conversely helped create a system, where foreign criminals in the UK are able to disappear more easily. Before the changes, foreign offenders in the UK were often given accommodation upon their release from prison, enabling authorities to keep tabs on them. The two Acts have now made it harder for foreign national offenders in the UK to access housing, among other services, and Bolt noted the policy has created a situation in which the Home Office does not have a fixed address for most foreign offenders when they're released from prison. "People and processes under strain. The numbers required to report routinely mean it is extremely difficult for staff at reporting centres to ensure that reporting events are 'meaningful,' in terms of encouraging voluntary departures or resolving barriers to removal. Meanwhile, the removal of foreign national offenders is regularly frustrated, often by last-minute legal challenges, and monitoring non-detained [offenders] is a challenge and one that raises obvious public protection concerns," Bolt wrote. Mr. Smith, noting Home Office budgets "have been cut year-on-year for eight years," agreed. "I'd argue for more resources and better systems for monitoring people — we still rely on paper-based systems quite a bit, we could have a biometric registration system instead, and use tagging and other new technology," Mr. Smith concluded. In response to the report, immigration minister Brandon Lewis said those who have no right to live in this country "should be in no doubt" of the government's determination to remove them. "Our priority is to progress cases towards voluntary and — if necessary — enforced departures and we have removed more than 38,600 foreign offenders since 2010. This week, like every week, more than 100 foreign criminals will be removed from the UK. We are conducting a fundamental review of how we establish and maintain contact with those who have not complied with restrictions placed on their stay in the UK. Our future operations will be shaped by the outcome of this review," Lewis said.